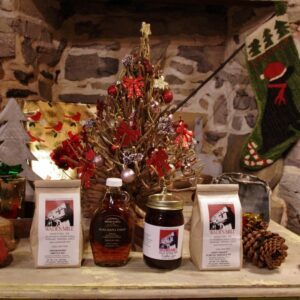 A selection of Wade’s Mill products, freshly ground on our granite mill stones and conveniently packaged in gift boxes to make your holiday shopping more than just Run of the Mill! Wade’s Mill stone-ground grain products are 100% natural, with no additives or preservatives. Give the gift of stone-ground goodness. To send gift boxes to recipients at different addresses, please enter each gift box as a separate order.